A new previously requested feature will make it into the upcoming 3.1 release: On the server side archive creation and expanding for TARs and ZIPs with a click of a button. Note: This feature does only work for SFTP connections. Try it out yourself using the latest available nightly build of Cyberduck. Previously, it was only possible to send custom commands to a server when connected over FTP. As of the latest 3.1 nightly builds, you can choose Go → Send Command… for SFTP connections which allows you to execute an arbitrary command on the server. It is nevertheless still possible to conviniently open a proper shell with Terminal.app for the current working directory. Use View → Customize Toolbar… to add the Terminal.app button to your browser windows. 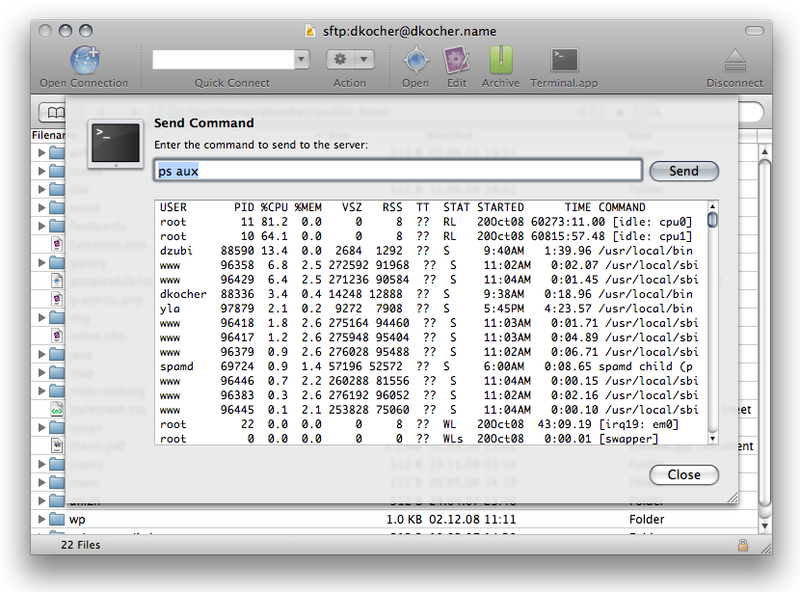 Note: This feature is meant for advanced users who are familiar with UNIX shells. 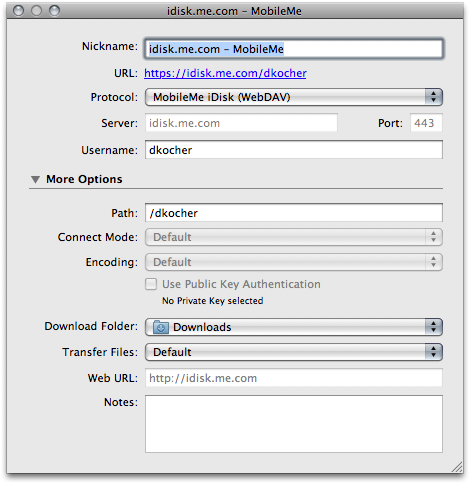 As we are speaking of the cloud distribution features in the last posts, Cyberduck 3.1 will also have a pre-configured protocol setting for MobileMe iDisk. You are no more required to enter the WebDAV protocol connection parameters manually. In addition to the previous post. A screenshot speaks a thousand words. Try it out yourself using the latest available nightly build of Cyberduck. Make sure to sign up for Mosso CloudFiles first. Try it out yourself using the latest available nightly build of Cyberduck. Make sure to sign up for Amazon CloudFront first. What follows is a newsflash of the current roadmap for features targeted in the 3.1 release. The latest 3.0.3 release improved stability and performance. We now look ahead for new features which complement the existing functionality already available: The next release is all about integration with recently announced cloud services. In particular, this means first class support for Amazon CloudFront and Mosso Cloud Files. Both services offer hosting solutions to deliver content at network edge locations nearest to the customer on a payment-per-use basis. Both are innovative solutions but implement proprietary protocols which lack support in commonly used client applications. Access your remote storage using the familiar Cyberduck browser interface creating containers (in Mosso Cloud Files) or buckets (in the Amazon S3 terminology) as you would create folders on a FTP server. Upload your original content using drag and drop. Create a distribution to register that container with Amazon CloudFront or the Limelight Networks Content Distribution Network through a simple API call by a single click in the Info panel of the browser. When end users thereafter request a file, they are automatically routed to the nearest edge location for the fastest possible delivery of your content. 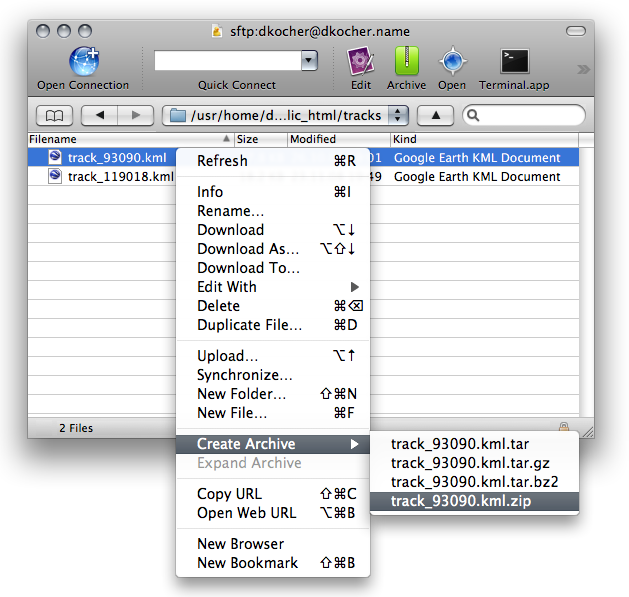 Distribution can be toggled on or off at any time. Try it out yourself using the latest available nightly build of Cyberduck. Feedback most appreciated!